When you’re dealing with pain and movement problems due to wear-and-tear or a sudden injury, you undoubtedly want fast relief — but you probably don’t want to go through major surgery to get it. 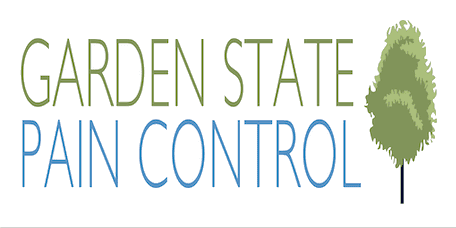 Garden State Pain Control in Edison, Clifton, Hazlet, and Jersey City, New Jersey, offers excellent nonsurgical regenerative medicine options, including platelet-rich plasma pain management and stem cell therapy. Book online or by phone now. Regenerative medicine focuses on natural healing and regeneration of damaged body tissues. Today, highly-advanced regenerative medicine techniques like platelet-rich plasma injections and stem-cell injections can help the body grow new cells, knit damaged tissues back together, and relieve pain so well that it's often a good surgery alternative. Regenerative medicine can help with chronic pain, sports injuries, and many types of damaged tissue. A regenerative medicine treatment can greatly enhance your healing and help you feel better faster. How does platelet-rich plasma treatment work? In platelet-rich plasma (PRP) treatment, your Garden State Pain Control physician can use platelets derived from your own blood to relieve pain and aid in healing. Your doctor takes a small amount of blood from you and then processes that blood in a state-of-the-art centrifuge machine. The machine spins your blood at very high speed to divide it into two components: red blood cells and your highly-concentrated platelet plasma. These platelets have extremely potent growth factors that can stimulate healing and alleviate pain. When your doctor injects the platelet-rich plasma around your injury or area of pain, you can get significant pain relief in as little as 4-6 weeks. However, your specific recovery timeline depends on factors unique to you, such as the severity of your tissue damage and whether you’re having other treatments to aid in healing. How does stem-cell therapy work? Stem-cells are often called the master cells of the human body. Your stem cells can become any of type of cell in the body, and this makes them highly valuable in regenerative medicine when you need specific, new cells for healing. There are a couple of possible sources for stem cells, but your own body's adipose tissue and bone marrow is the most convenient way to get them. Your Garden State Pain Control physician delivers local anesthesia to keep you comfortable, and then harvests stem cells via an incision in your abdomen. The fatty tissue and bone marrow then go into a centrifuge machine to isolate the stem cells. Next, your doctor injects the stem cells where needed. Often, the doctor uses ultrasound guidance for extra precision. It may take around 3-4 weeks, but possibly as much as a few months, to experience results. Once that happens, you can experience pain relief for at least six months but possibly up to a couple of years. Book your regenerative medicine consultation online or by phone now.